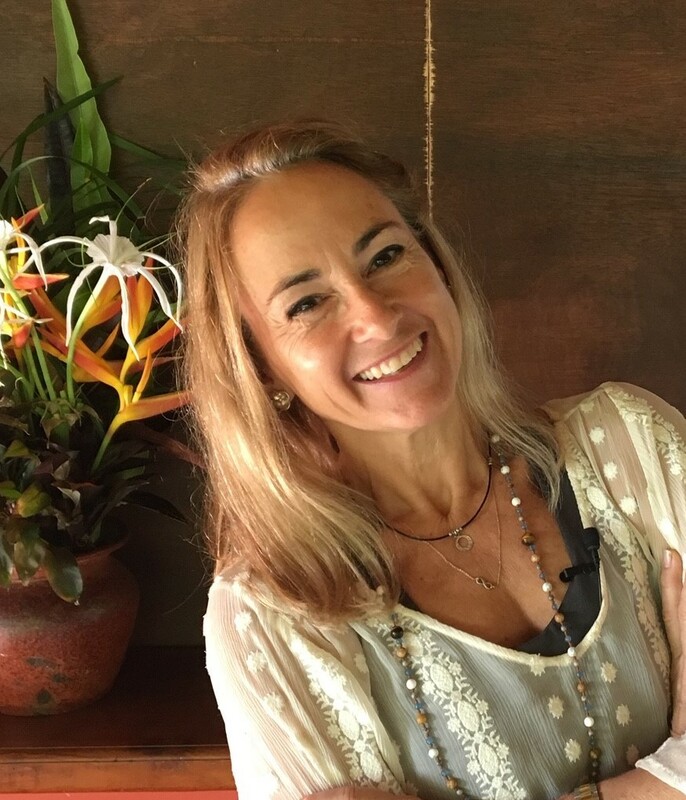 Known for her compassionate nature and skillful teaching instruction, Joanne weaves yoga philosophy, yoga physical practices, and meditation to create experiences in class for students to deepen mind body connection, cultivate inner wisdom, heal and restore balance. With over 1000 hours of teaching experience, Joanne is a teacher of yoga basics, vinyasa, restorative, meditation and yin practices; teaching at all levels including gentle, moderate and core strengthening to all populations. Yoga found Joanne at a time when her body needed to release, stretch and heal during stressful years of raising two children with disabilities and directing two startup non-profit organizations. Her yoga journey landed her at the Kripalu Center for Yoga and Health in Massachusetts where she completed a KYT200 certification (2013). She received her 300-hour advanced teacher certification in Bali with Jovinna Chan and Grace Jull (2017). She is currently enrolled in the Somers School of Yin led by Joshua Sommers, with 150 hours of learning experience. She also completed a certificate in Positive Psychology (CiPP) at Whole Being Institute (2015) and a Masters in International Management (MIM) at University of Denver (1993).